Come for Sunday School this Week! 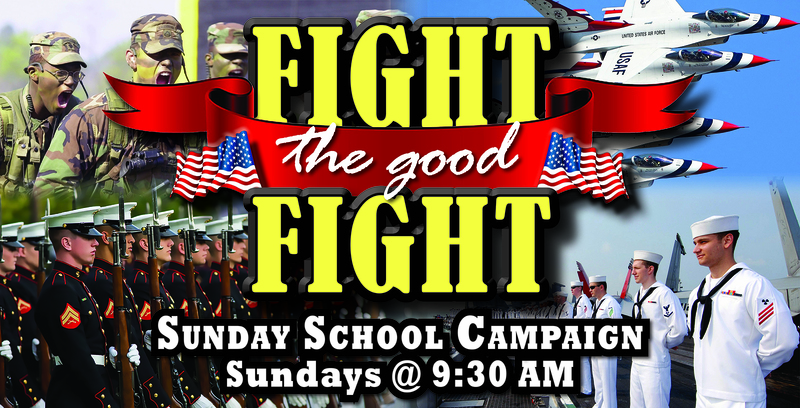 We are halfway through our spring Sunday School campaign, and team Air Force is in the lead with the Army, Marines, and Navy trailing closely behind. We encourage everyone to be in Sunday School these next two weeks and to bring a guest with them. On Sunday, April 29, we will be honoring all current and past servicemen and servicewoman in the morning service. They will be presented with a special gift and enjoy a luncheon after the morning service. We hope to see you in Sunday School at 9:30 AM this Sunday!